Around the middle of the nineteenth century a small group of Presbyterian residents in Ealing came together to worship with the Congregationalists on Ealing Green. In 1874, having increased in number, they applied to form a Presbyterian congregation in Ealing. The life of the St Andrew’s fellowship began the following year with a temporary church which was built on the Uxbridge Road opposite the Church of Christ the Saviour. The fellowship grew rapidly and a new site was purchased on Mount Park Road. The foundation stone for the new building, described as ‘thirteenth century Gothic’ and capable of accommodating 550 worshippers, was laid by the Marquis of Lorne in 1886. The church was opened for divine service in 1887. The church grew and took a lively part in the life of Ealing. In the early 1900’s St Andrew’s took responsibility for the formation of a congregation in Hanwell. In 1922, with encouragement and support from St Andrew’s, a new brick building was erected in West Ealing and dedicated as St Aidan’s. Links were maintained between the two churches and when, over seventy years later in 1995, St Aidan’s closed down, its remaining members joined the St Andrew’s congregation. The St Aidan’s Hall of St Andrew’s is a valued reminder of this expansive period in the life of the church. The money released by the sale of the St Aidan’s site and buildings was used to start a fund to finance the building of the Church Centre at St Andrew’s. This adventurous project which was aimed at providing facilities for the wider community in the area required considerable commitment, effort and sacrifices from members of the church. These efforts have proved worthwhile. The building was ready to reopen in 2002 and on Palm Sunday the refurbished sanctuary was rededicated. The Church Centre was also dedicated on that occasion with a formal opening by Gavin Esler on 9th July 2001. The Ghanaian Fellowship (Ga-Dangme speaking) has been worshipping at St Andrew’s URC Ealing on the 4th Sunday of every month (pm) since 2004. The fellowship, affiliated to the URC, was initiated by Rev Godwin Odonkor (the then Ghanaian Chaplin to Ghanaians in the UK) to provide the opportunity for worship in the Ghanaian tradition to take place in West London (similar fellowships already existed in south/southeast London). St Andrew’s Ealing was considered as a possible ‘home’ for the fellowship because of its long-standing history with the Ghanaian Presbyterian Church and because members of the co-ordinating committee for the initiative were also members of St Andrews Ealing. The then Moderator, Rev Roberta Rominger, and the Rev Dr Tony Haws were very supportive of the initiative and played an important role in the set up of the Ga Dangme Fellowship. 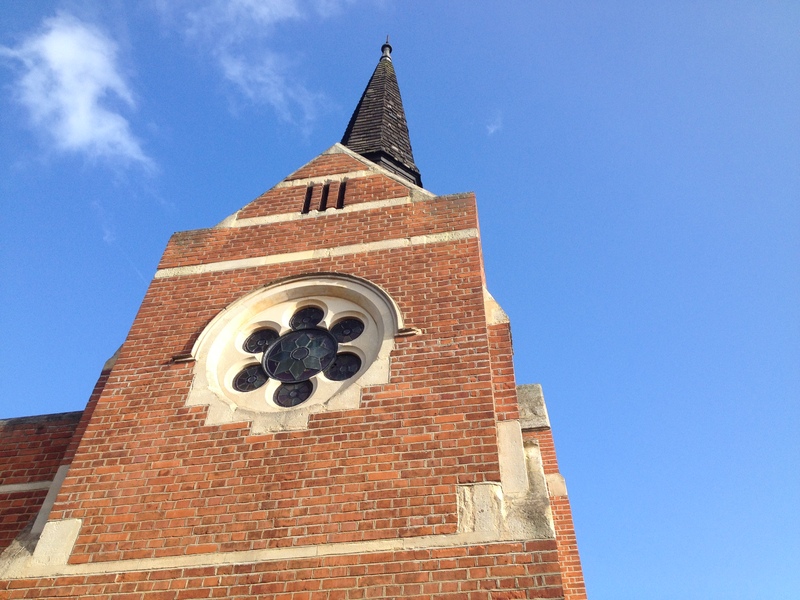 The final decision to host this fellowship at St Andrew’s Ealing was agreed at a Church Meeting.